The companies and publishers listed here offer commercial geography curricula to homeschoolers. You will find everything from supplemental materials to complete curriculum packages. Some of these companies provide printed materials, while others make materials available online through paid memberships. For additional resources, be sure to check out our compilation of websites offering free printable geography materials and interactive activities and games. “A Child's Geography: Explore His Earth” is a "living" geography primer for grammar age students, (gr.1/2--gr.6/7). It's about getting to know what's under our feet, over our heads and in the world around us-the atmosphere, the hydrosphere, the lithosphere-and then how to get around this world-maps, latitude and longitude. “A Child's Geography: Explore the Holy Land” is a "living" geography course for grammar age students, (gr.1-gr.6). Explore six Middle Eastern countries (Iraq, Jordon, Israel, Saudi Arabia, Egypt, and Turkey) with engaging text, narration prompts, and notebooking & mapping activities. Around the World in 180 Days is a geography and history program covering each continent's history, geography, and culture. And yet this is not a textbook. It is a series of questions that the student must research in order to answer. Plenty of resources (available in most public libraries) are suggested to help students conduct their research, and the teacher's edition provides all the answers. Since 1979, Evan-Moor Educational Publishers has provided teachers and educators with practical, creative, and engaging PreK-6+ educational materials in language arts, math, reading, science, social studies, arts & crafts, and writing that support and enrich the core curriculum. Look here for geography lesson plans and resources. Looking for homeschool curriculum? Geography Matters offers a diverse selection of curriculum for homeschool. While they specialize in geography curriculum, such as the Trail Guide to World Geography and Geography Through Art, they also have a complete curriculum for your homeschooling education. This award-winning hands-on course for teaching geography through literature is designed to use the first four Holling books for a year-long course in geography, history, science and more. 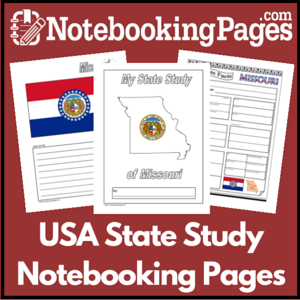 This study provides you with a guide for getting the most out of these books as well as maps of each region which are designed to be colored, labeled and completed by your student. Three main geographic regions of the U.S are covered as well as an introduction to world geography in the book, Seabird. The Geography Through Literature Study Guide contains 38 weekly lessons and is recommended for grades 3-6. Written from a Christian perspective, Hands-On Geography will get you excited about teaching an oft-forgotten subject. Includes specific instructions for many activities, games, and projects designed to be appealing to kids and easy for parents. An easy, yet thorough, introduction to a very important subject. Grades K-5. Written from a distinctly Christian perspective by a homeschool grad (now a homeschool dad), North Star Geography is a full high school credit and is appropriate for middle and high school students. North Star Geography covers Geography Skills (such as reading maps and navigation), Physical Geography (the lithosphere, hydrosphere, atmosphere, and biosphere), and Human Geography (social structures, culture and heritage, interacting with the environment). The fastest way to memorize the countries of the world through mental mapping. Visualize World Geography uses pictographs to help students acquire a mental map of the entire world. Students will learn in-depth information about each country and learn to draw the entire world for memory.